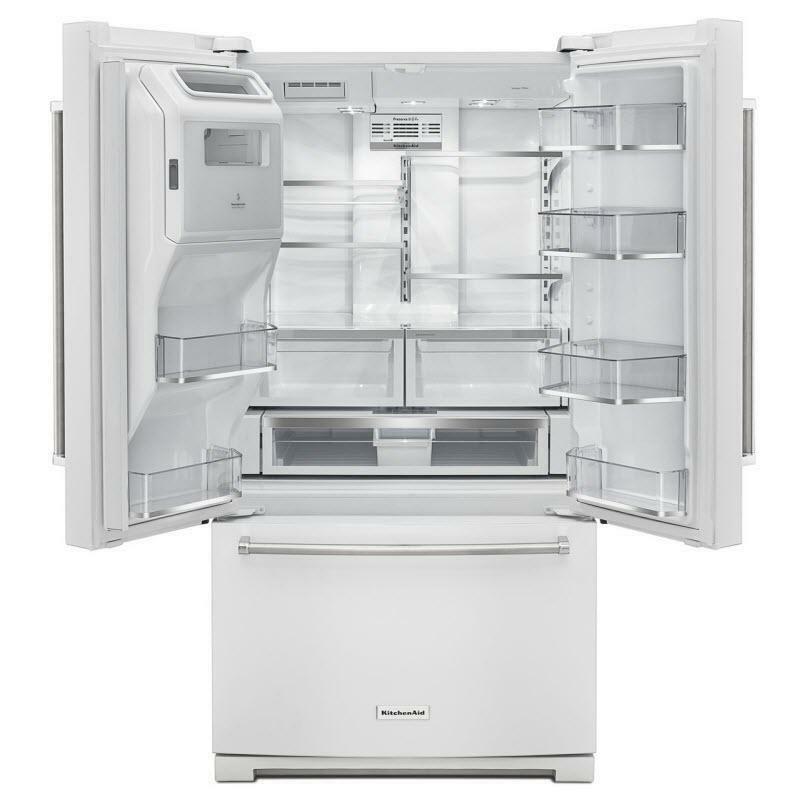 This KitchenAid 26.8 cu. 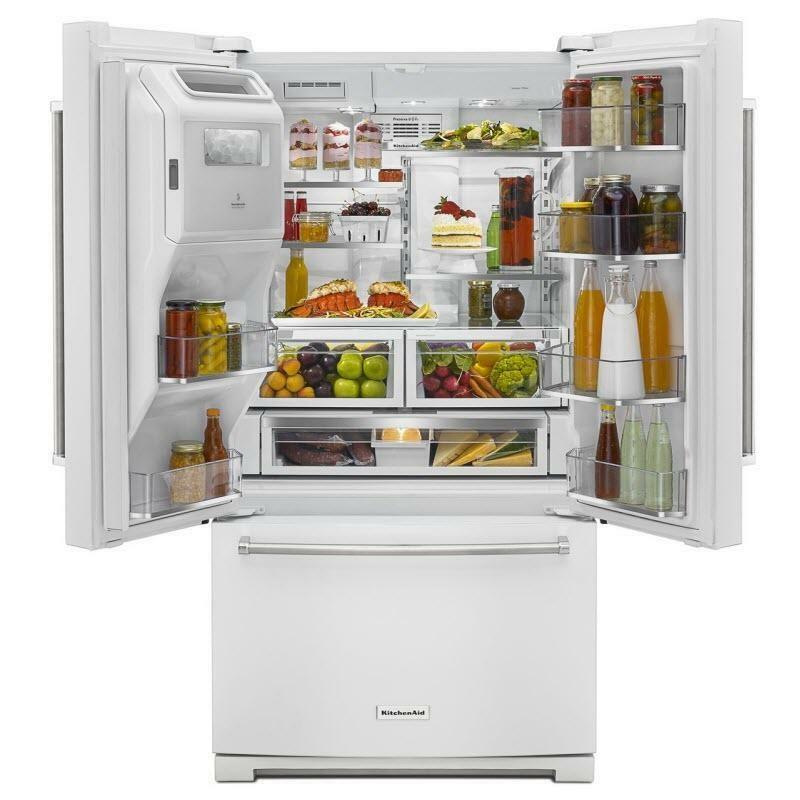 ft. refrigerator helps maximize the freshness of produce with the Preserva® Food Care System. The system combines three distinctive features including an ethylene-absorption cartridge that helps keep produce fresher longer. The refined interior design features LED lighting, and metallic accents add a touch of elegance. 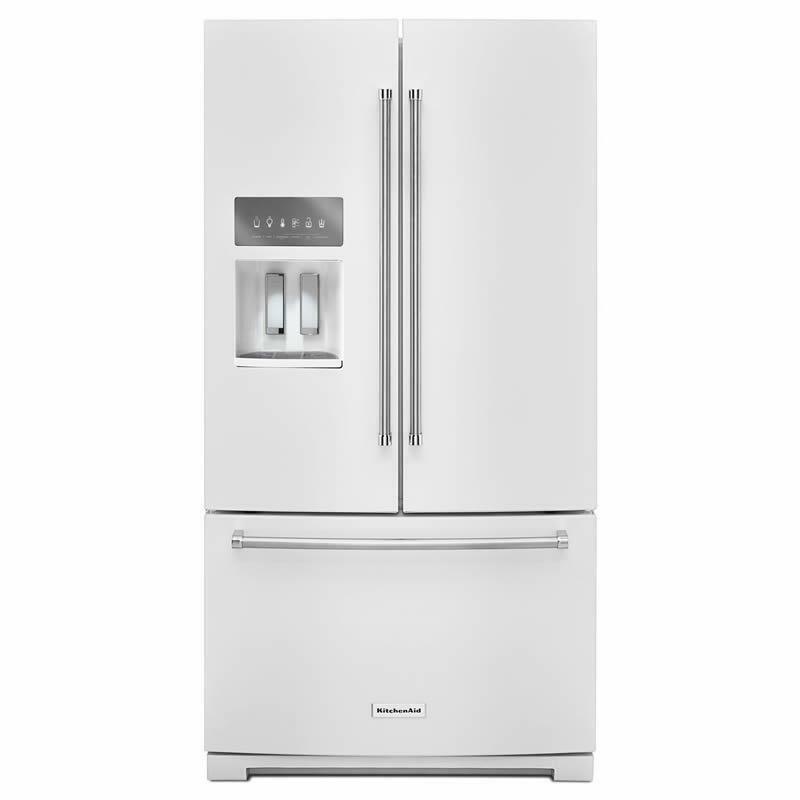 Additional Dimensions • Width with Doors Closed : 35 5/8"
• Height To Top Of Cabinet : 68 3/4"
• Height : 70 3/4"
• Depth : 36 5/8"
• Depth Closed Excluding Handles : 34"
• Depth Excluding Doors : 29 7/8"
• Depth With Door Open 90 Degree : 49"
• Width : 35 5/8"